Introducing the world's most powerful little speaker. Plug in any device that has a headphone port and listen away! Use it with your mobile phone, any mp3/mp4 player, CD/DVD Player, and even your computer! No batteries are required. It has a built in lithium battery and is charged using your USB port on your computer. You can even play music off of a Micro SD Card! 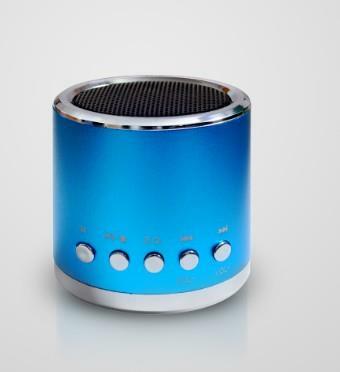 This little speaker will make listening to music, watching movies, or even taking a conference call that much more audible.